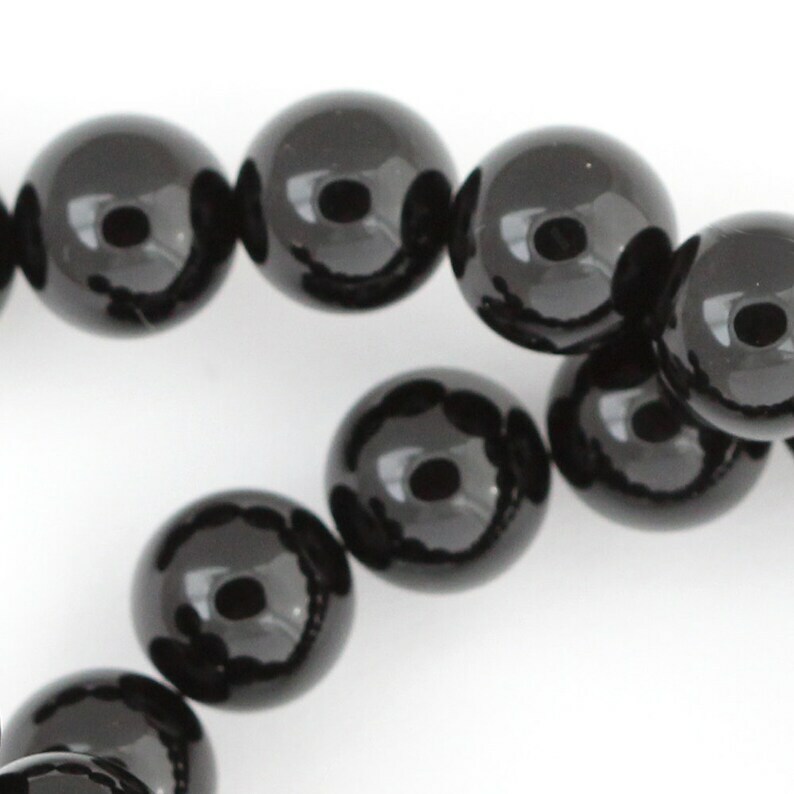 Color: solid black - these beads have such a wonderful classic look! Onyx is chalcedony quartz that ranges in color from white to orange to brown to black, and is often banded. Almost all black onyx available is enhanced by dyeing. Black onyx coordinates beautifully with a wide variety of gemstones including garnet and amethyst. The simple combination of black onyx with silver is an always-pleasing classic.